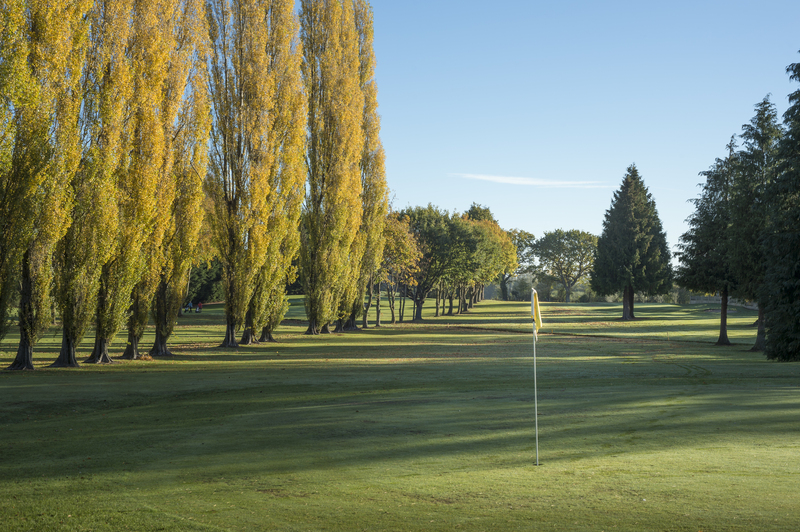 A golf course in Hereford, right on the doorstep of your holiday home, touring caravan or self-catering cottage. Pearl Lake in Herefordshire offers beautiful surroundings for your holiday and we believe it is a huge bonus to have such a wonderful golf course exclusively for people who stay with us. Recent improvements in 2018 saw some new greens being constructed and a change to the order of the holes. We have worked extensively on the drainage, incorporating new ditches as strategic obstacles, to improve the playability of the course year-round. We hope this will enhance your enjoyment of this wonderful course as it remains a very good test for golfers of any level. 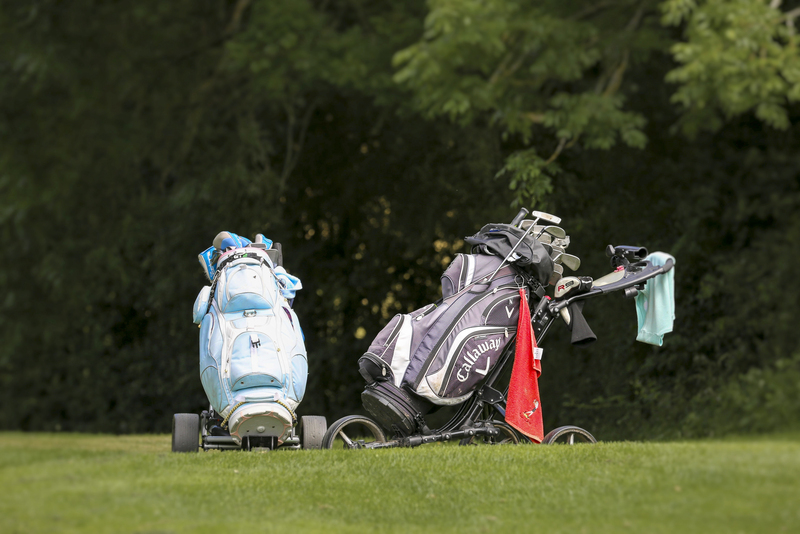 There is a fantastic choice of 18 hole courses with 30 minutes drive of the park, including Kington Golf Course - the highest 18 hole course in the country. You can fine tune your game with a quick practice round at Pearl Lake before you head off to break that course record! A fully fledged short course with four par 4’s – the longest at 333 yards – and five challenging par 3’s. The 2000 yard course suits the beginner and experienced golfer alike. The course has encouraged some of the holiday home owners to take up golf for the first time, others are happy to play in the competitions organised by both ladies and gents golf societies. Don’t be fooled by the fact it is ‘only’ 9 holes, this course will test the best of golfers not with its length but with the need for accuracy. A course suited for beginners and competent golfers alike, a great course to learn on as it is not intimidating and a course that grows with you as you try to reduce your handicap. Straight hitters will benefit from keeping the ball in play, as opposed to long hitters that are wayward off the tee, but it’s the short game that will give the greatest return. Some narrow greens and water hazards, deep bunkers and tree-lined fairways all make this a little course that leaves a big impression. A testing opening hole. A sheltered tee offers a sneak view of the green beyond the old oak tree. Over the old tree or round the tree? but beware it is out-of-bounds on the right for those who go for the green! The shortest hole on the course and deceptively difficult. Trying to hold a green that slopes away from the tee is hard and with a deep bunker to the left sometimes the smart money is placed on a safe shot. Short game skills are almost always called in to action here to make par. A long uphill par 3 that reduces the carry of your tee shot. The new bunker front left of the green stops many going for the flag but if you miss the green or end up too far from the hole, the tiered putting surface makes putting for par nerve-wracking. On paper this hole looks straightforward but the tee shot threatens out-of-bounds left and right and the best place to land the ball with any chance of reaching the green in two with a short iron is after the dog-leg left, this means hitting over the out-of-bounds area on the left and over the big tree. Get it wrong and this hole has wrecked many a good start, get it right and regale the clubhouse with heroic tales of long drives and unlikely pars. With the new green established this now plays as a tricky downhill par 3. Hitting the green is a lesson in target golf – good luck with that! ‘Sensible golf' should give a fairly easy par, should such a thing exist. A hole to grace any golf course! Teeing off over the water, always a bit nervy, there is out-of-bounds left and tall conifers on the right. The green is narrow with two tiers, A tricky ‘up and down’ if you miss the green and even if you hit the green from the tee it is a difficult read for a par. What a great hole this is. This hole looks like a ‘straight away’ par on paper but you have to play it smart. To go for the green you must, if you can, clear the trees to leave a nice chip into the dance floor. Go right off the tee and the green is hidden from view. 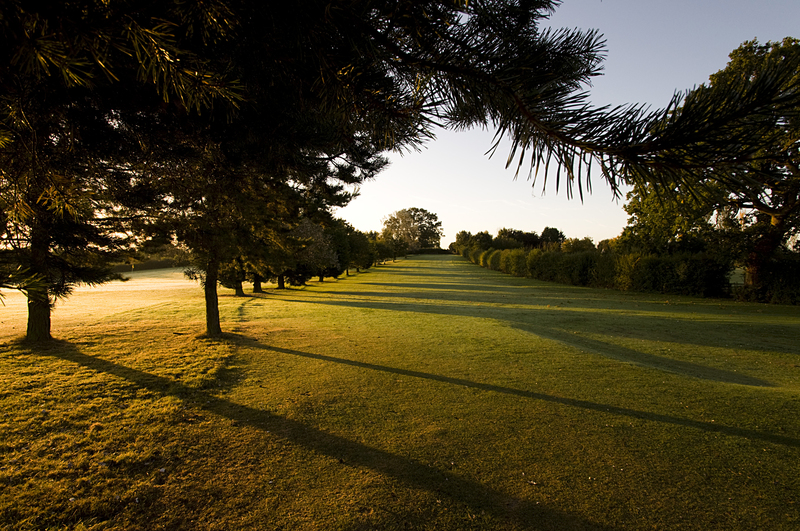 Play it steady, hit the green in two, knock it close with the first putt, then in for a par – Simples! Long and straight off the tee gives you every chance of making a good return here, although there is no indication of the possible dangers at play. Indeed there should not be any danger if you are straight off the tee (don’t go right as there is no shot to the green other than a Ballesteros style magical mystery shot), but the raised green is blind at the foot of the flag and judging distance is never easy. Don’t hit the second shot long or you could be in the cabbage, smart money on playing short to run-on. You know what to do, they do it on the telly! A simple straight away par 4 (honestly, it shouldn’t be so tricky yet appear so simple!) and if you have got thus far relatively unscathed you can relax on the the home straight from this tee. As ever at Pearl Lake a straight drive is essential (but to drive the ditch or not??) and this should leave a simple pitch onto a broad green. The bunkers guarding the front need not deter but it is very easy to over read the gently sloping green. A par should be in your pocket here! Always enjoyable to play, always eventful, always sociable. A great course to practice on, to play on and to sharpen those skills. Coming back and bringing my clubs such a lovely little golf course , I give this 5*, don’t want to go home.